CHARLES H. (CARY) TURNER is currently the Chairman of Hawthorne Turner Investments, a private investment firm. Previously, Cary was Appointed Senior Vice President and Chief Financial Officer of Pier 1 Imports, Inc., in August 1999. There he oversaw all aspects of Finance, Strategic Planning, The Pier (England), Cargo, Information Systems, Treasury, Controller, Tax and Investor Relations. 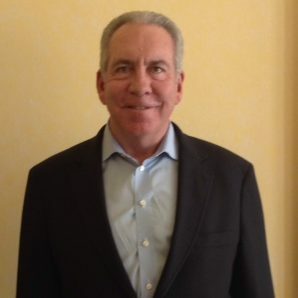 Mr. Turner was also appointed Senior Vice President, Stores, in July 1994 and oversaw all aspects of operation for Pier 1’s United States and Canada retail store locations. In addition, he managed Visual Merchandising, Real Estate, Communications, Customer Service, Sales Training, Planning and Analysis, and Asset Protection. He joined Pier 1 Imports in 1992 as Vice President, Controller. Prior to joining Pier 1, Mr. Turner served as Group Controller for JC Penney from 1988 to 1992. As Group Controller, he worked with various J.C. Penney subsidiaries to formulate a business plan and to provide the controllership function and management information to operate the enterprise. Prior to J.C. Penney, Mr. Turner worked at KPMG Peat Marwick as Senior Manager from 1979 to 1988. His responsibilities included auditing and consulting with many retail and distribution companies, including J.C. Penney, Melville Corp. and Tiffany. Mr. Turner received a Bachelor of Science degree in Commerce from the University of Virginia in 1979. His civic and board involvements include: Board of Directors for The Elder-Beerman Stores Corp.; Board of Directors for the Boys & Girls Clubs of Greater Fort Worth. ; University of Virginia McIntire School of Commerce Advisory Board; Jefferson Scholars National Advisory Board and the Fort Worth Rotary Club.